Carter buys the Pawtucket Patriot brewery and decides to cut some corners to save a few bucks. 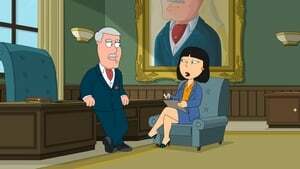 Peter overhears the plan and runs and tells investigative journalist Tricia Takanawa about Carter’s plan to use toxic chemicals in the beer cans. Meanwhile, Brian’s drivers’ license has expired and he enlists Stewie as an instructor.